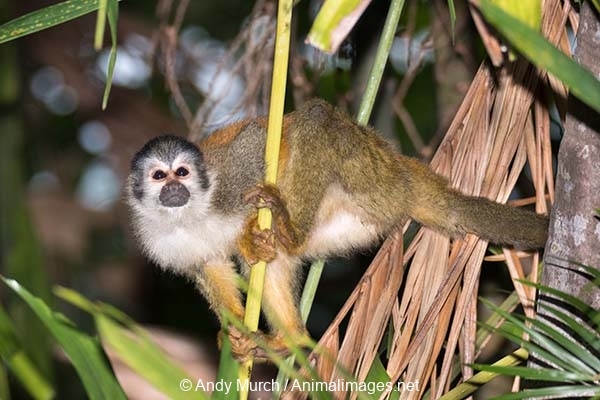 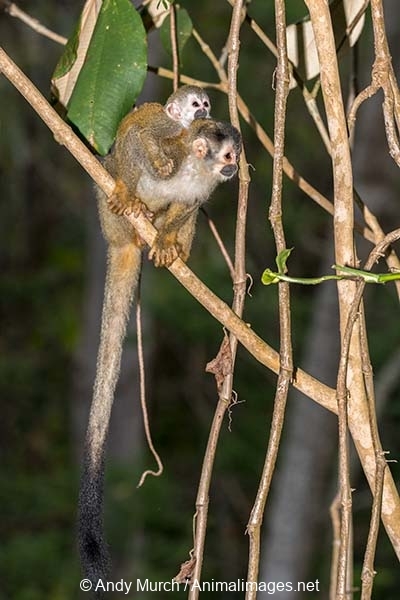 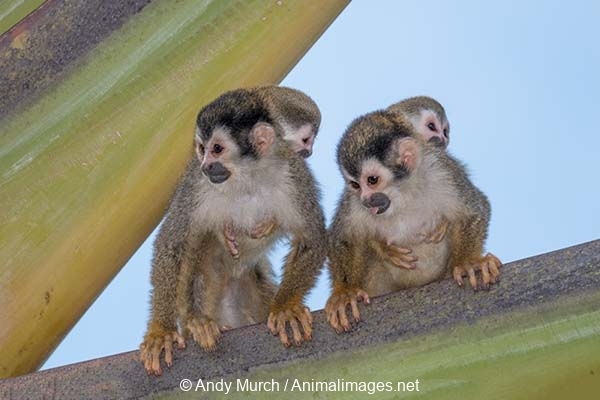 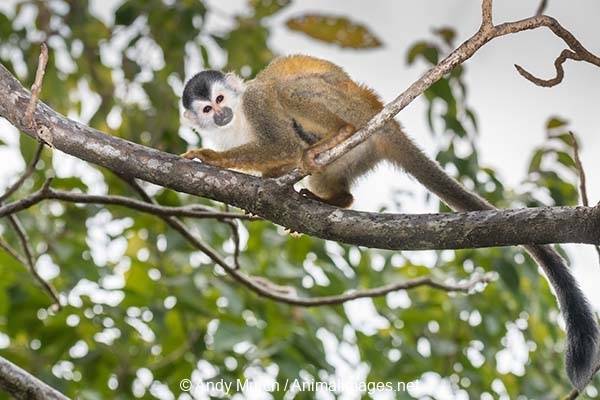 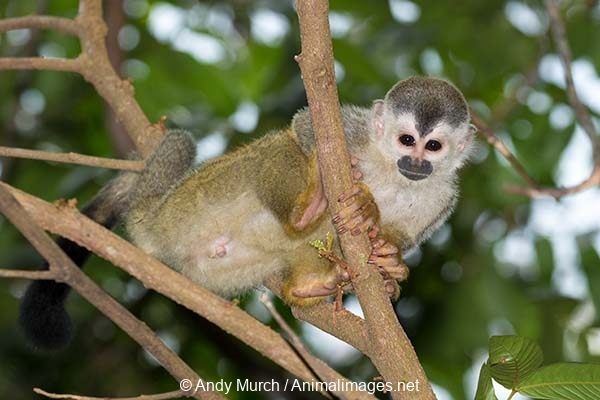 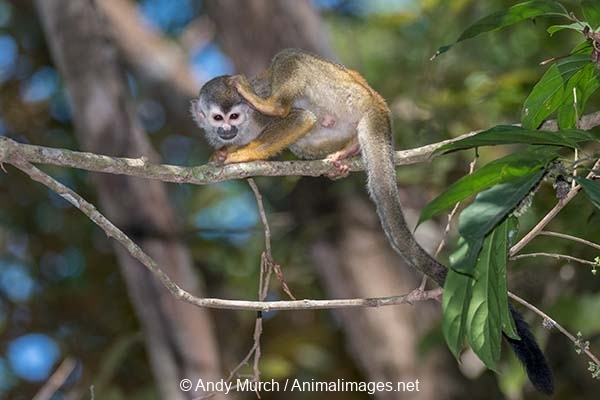 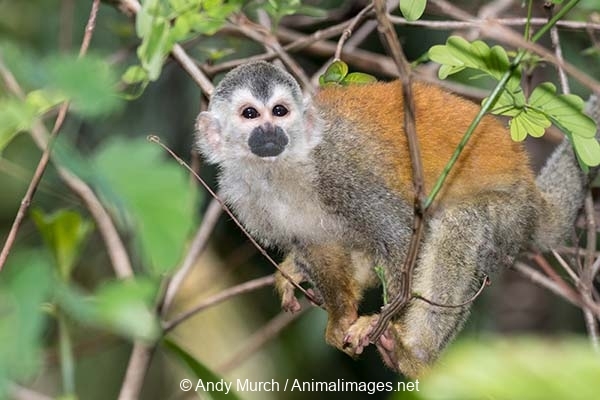 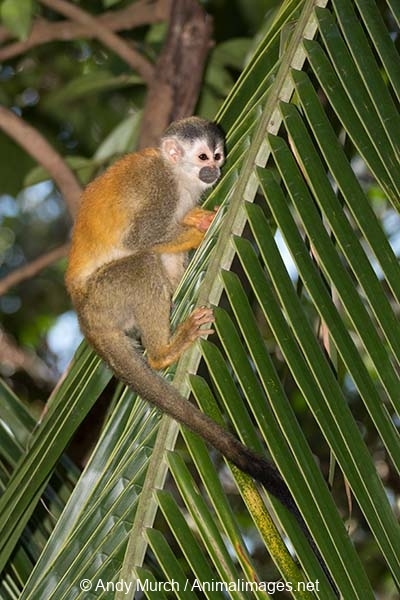 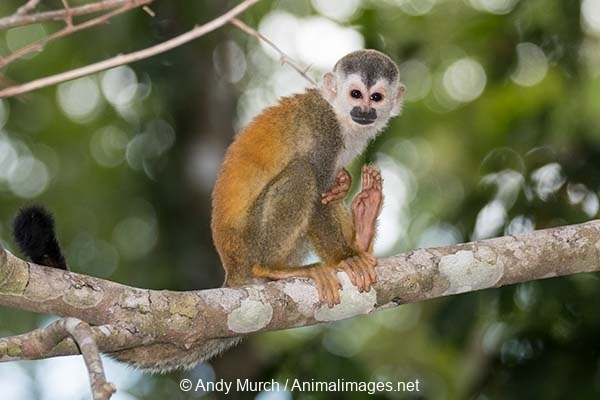 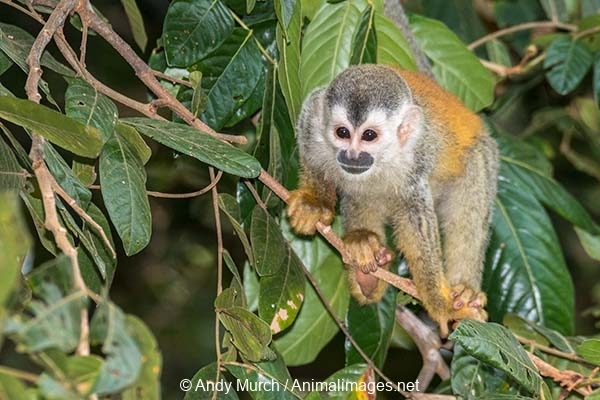 Central American Squirrel Monkey, Saimiri oerstedii. 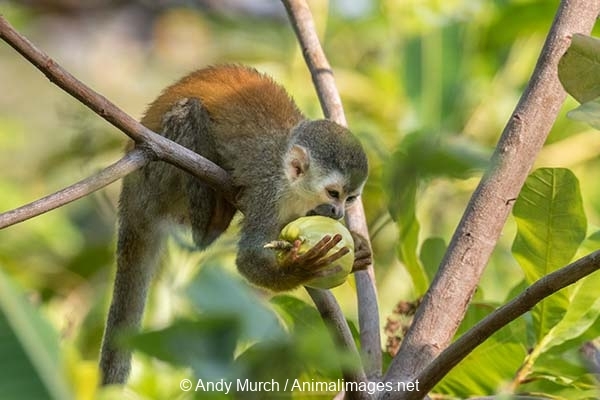 Aka red-backed squirrel monkey. 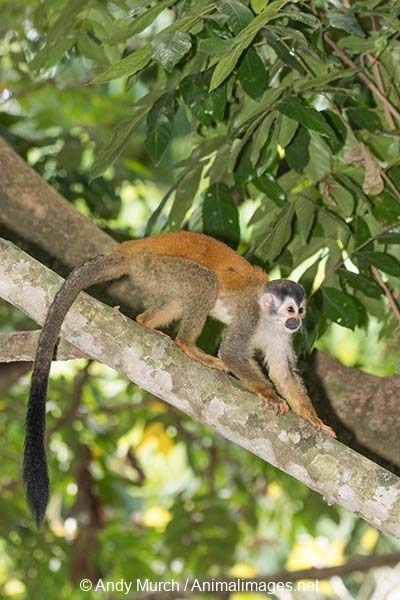 Costa Rica and Panama. 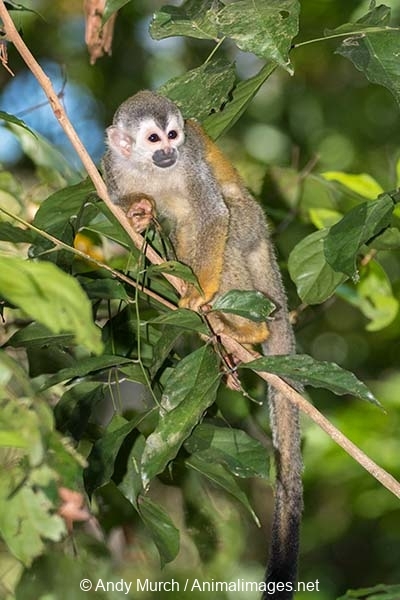 This subspecies S.o.citrinellus is from Manuel Antonio National Park, Quepos, CR.